Manicuring your lawn is usually a ground-level affair, but when your trees are overgrown and reaching for your neighbor's yard, pruning them back can be a job that's out of reach for even the tallest landscapers. 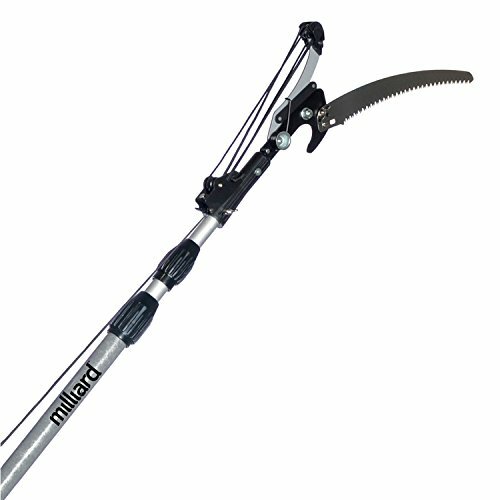 If you want to make a breeze out of pruning trees, a Milliard Telescoping Pole Saw and Tree Pruning Tool will do that with ease. Show those branches whose side of the fence they're on and cut them down to size! Work Smarter, Not Harder! Sharp blades on our pruning shears help make cutting easier, but applied physics make it even easier still. 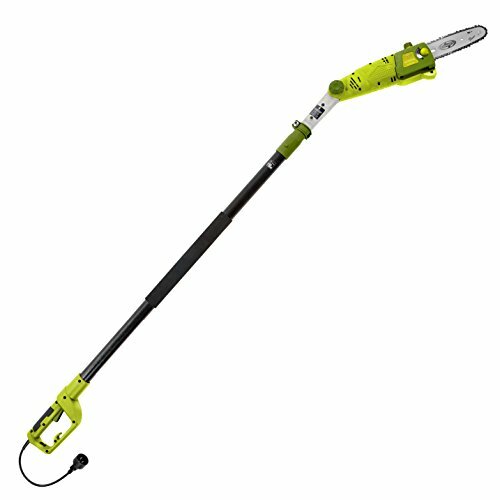 With the compound pulley system built in to the pruning head, your effort is multiplied 4x when nipping through branches, so you have 4x less work to do. A 1½ inch cutting aperture also means you can cut bigger branches. If it fits, it snips without annoying power cords or batteries to slow you down. The power is in your hands, literally. Adjustable Handle for an easy Grip! Sometimes you must pull some strings to get your work done, but if you don't have the proper grip, you might be in for an epic burn - rope burn that is. That's why our adjustable grip handle is great for getting the leverage you need for pulling on the full-length pulley rope. 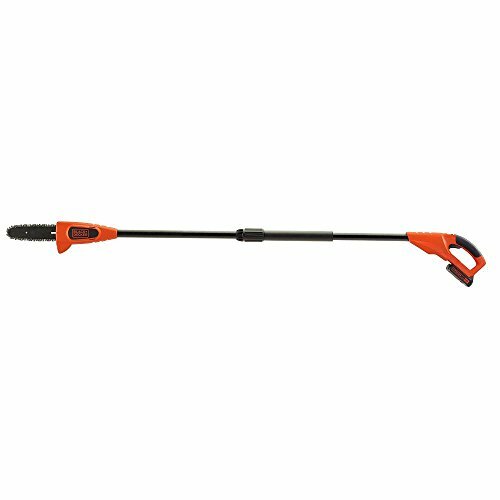 Corona TP 3206 long reach pruner - 1 1/4". head rotates, tilts & swivels for unlimited cutting positions. 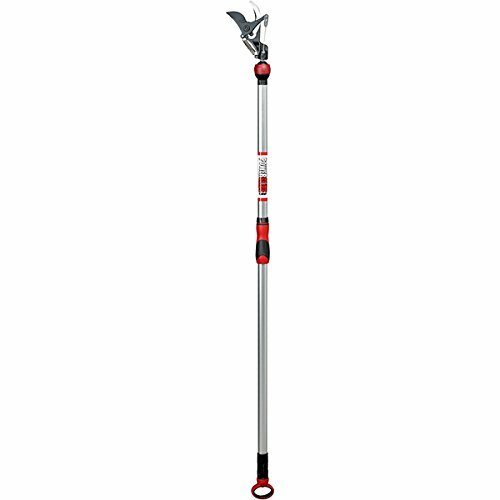 Power glide comfort grip eliminates tangled ropes. Oval end-grip with rubber over mold increases reach. 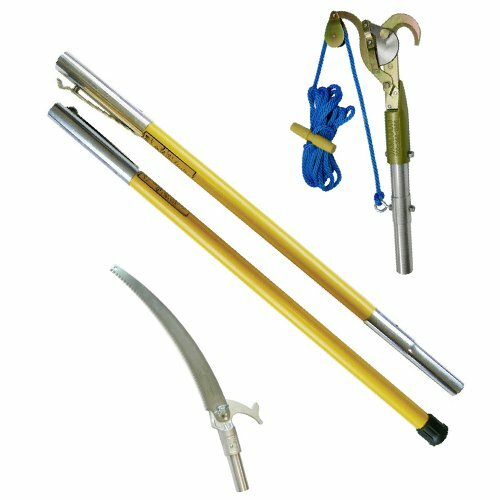 No ladder, no bending, no stress. 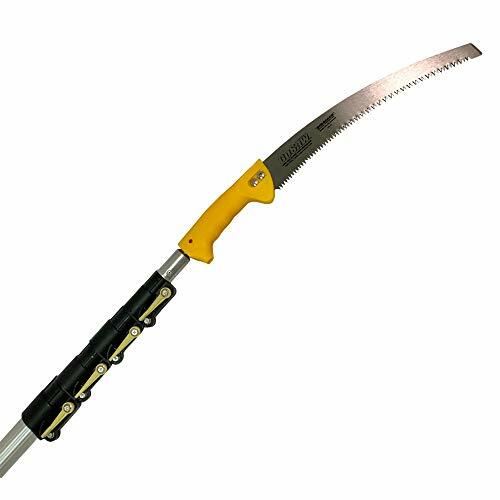 Professional fiberglass pole saw set with 15" heavy duty double thick blade. 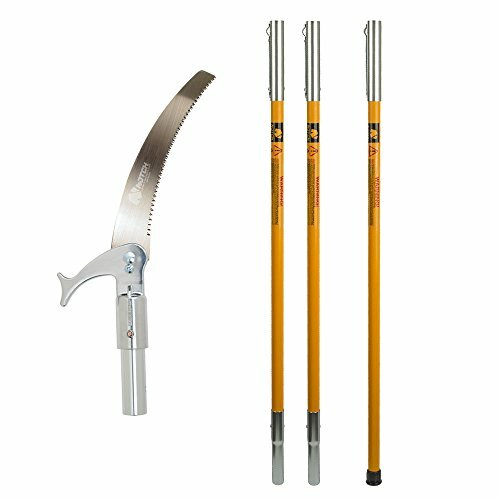 Set made of three 6' professional arborist series NOTCH fiberglass poles. High carbon, SK4 steel blade cuts on the pull Stroke. Use what the Pro's use.